Raptor Domain, Kangaroo Island Birds of Prey – This is a must see Kangaroo Island attraction. You will enjoy a free-flight bird presentation featuring Wedgetail Eagles, Kookaburras, Owls, Falcons, and more. Ideal for children & highly recommended. There is a great photo opportunity here. Parndana Wildlife Park is ideal for some close up encounters with the local Kangaroo Island Wildlife. You are welcome to spend unlimited time with one of SA’s largest collection of rare and unusual animals. See Eucalyptus oil and associated products at a very interesting art & craft gallery. 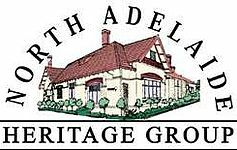 North Adelaide Heritage Group offers you a selection of unique heritage b & b accommodations in adelaide, located in the heart of Adelaide’s trendy café and restaurant precinct, just a short walk from the Adelaide CBD across stunning parklands. You are free to choose from accommodation in either a spa, or a two bedroom self-contained Bluestone Historic Cottage. Perhaps the separate self-contained apartments at the grand Buxton Manor set amongst a half acre of rose gardens, boasting brass beds and antique furnishings is more suitable for your stay. Home of Jenny’s famous Honey Icecream!